Just noticed this is back at the lower price of £41.99 - and the 20% promo message is back next to the price (remember to redeem the code before buying!) to get £33.59! Best so far from Amazon I think, missed the last one so might have to pick it up this time around. I am watching it since last post and it Was never dead. Still works, I don't know why previous deal went grey. Anyway, good choice I think. I am personally looking for something what will give me much better image during night. Do the cameras only record when the car is running / when I initialise an emergency recording or can a jolt automatically make them start recording? No parking mode on this. I have my two camera's on switched live, so hardwired to fuse which is only on when ignition is live. Works really well and also happy with the night time quality. Good for 1080p 60fps. Recording start when you start your car. No parking mode on this.I have my two camera's on switched live, so …No parking mode on this.I have my two camera's on switched live, so hardwired to fuse which is only on when ignition is live. Works really well and also happy with the night time quality. Good for 1080p 60fps. You could hardwire it to permanent live though also. Got this last week, video quality is great but I keep having issues when trying to connect via wifi. Sometimes it disconnects and video transfer takes a long time. NO you need an endurance card designed for high volumes of video data. 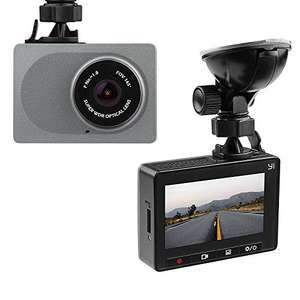 Can anyone recommend a hard wire kit for this dash cam? Any video with reviews about night time filming?